In 1917 a century ago Theodore Roosevelt was 58 years old. He was not in the best of health and he had put on a fair amount of weight since his “crowded hour” leading the charge up Kettle Hill in the Spanish American War. Nonetheless, he was eager once again to fight for the Stars and Stripes. An advocate of preparedness, he had assembled a staff and plans to recreate his Rough Riders on a corps level to fight in France, and over a 100,000 men had indicated their willingness to join this force. Congress in March of 1917 authorized him to raise such a force of volunteers of up to four divisions. In May of 1917 President Wilson indicated that no such force of volunteers would be accepted by the Army, Wilson not wanting to be held responsible if the beloved ex-President died fighting. Roosevelt was crushed and never forgave Wilson, who he despised in any case. He kept busy making speeches in support of the War and selling war bonds, but it was not the same as fighting himself. On April 1 we will explore the “what if” had Wilson allowed Roosevelt to take his new Rough Riders into battle. The singing voice of Great Britain during World War II, Dame Vera Lynn is one hundred years old. The Sweetheart of the Forces, she was tireless in her performances for the troops during World War II, and the veterans of that conflict have always held her in high esteem. Contrary to the usual dismal history of the entertainment industry, she enjoyed a life long love affair with her one and only husband until he died in 1998. Throughout her long life she has championed disabled servicemen and disabled kids. She is a living refutation of the falsehood that the good die young. 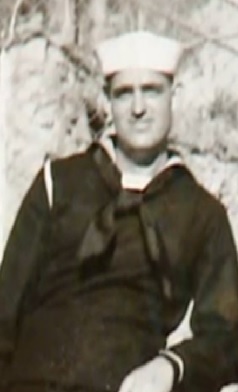 Loyce Edward Deen, an Aviation Machinist Mate 2nd Class, USNR, was a gunner on a TBM Avenger. On November 5, 1944, Deen’s squadron participated in a raid on Manila, where his plane was hit multiple times by anti-aircraft fire while attacking a Japanese cruiser. Deen was killed.The Avenger’s pilot, Lt. Robert Cosgrove, managed to return to his carrier, the USS Essex. Both Deen and the plane had been shot up so badly that it was decided to leave him in the plane. Matter! Matter! Why, everybody’s gone crazy! What is the matter with all of you? Here’s this convention going headlong for Roosevelt for Vice President. Don’t any of you realize that there’s only one life between that madman and the Presidency? Platt and Quay are no better than idiots! What harm can he do as Governor of New York compared to the damage he will do as President if McKinley should die? Roosevelt built up the military, specifically the Navy, which he showed off to the world as the “Great White Fleet.” Both presidents have a defining public works project. For Trump, it’s the border wall. For Roosevelt, it was the Panama Canal. As with Trump, Roosevelt ruffled international feathers with his proposal, even sparking the secession of Panama from Columbia. on March 23, 2017 at 5:30 am Comments Off on Trump and Teddy? I have always loved this scene from Young Mr. Lincoln (1939). Few things are more enjoyable for a trial attorney than a cross examination that is tearing up the opposition case! Of course in real life in the video above the prosecutor would be on his feet constantly objecting: Argumentative! Assumes facts not in evidence! Mr. Lincoln is using a document that has not been admitted into evidence! If Mr. Lincoln is going to testify let him be sworn in! Etc. Of course this was done at a time when most judges tended to give a great deal of lee-way to counsel in their questioning of witnesses, especially in a frontier court and the jury might assume with frequent objections that the prosecutor was attempting to keep the truth from them and vote not guilty as a result. In any case it is a great scene.